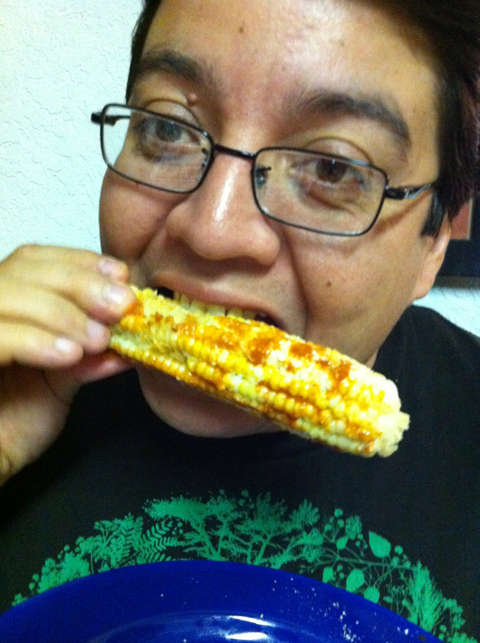 Easy Snacks for the Summer: Mexican Corn - 'Elote' - Fueled by chile, frijoles & tortillas. 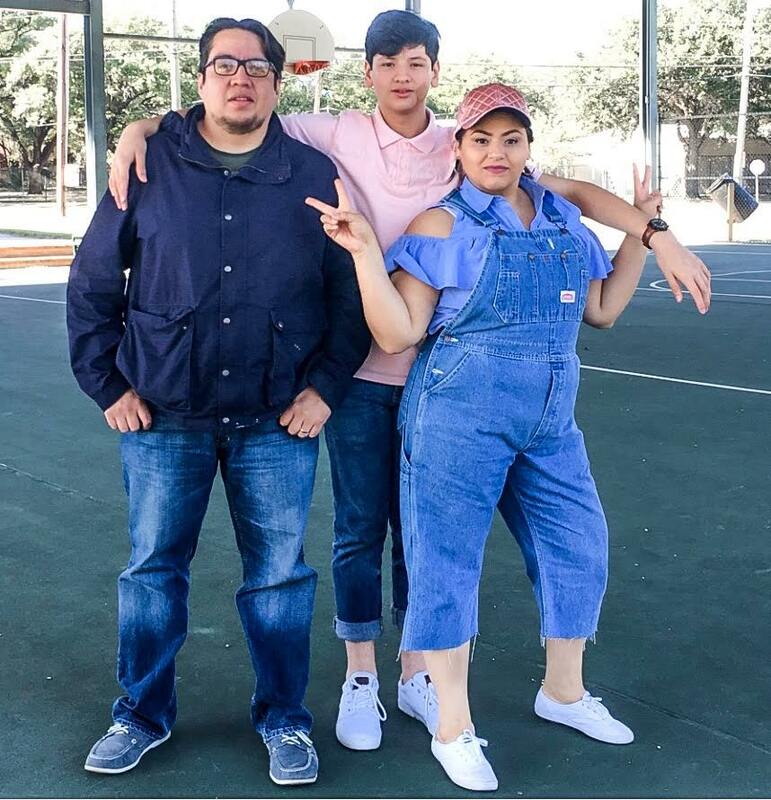 Summertime means it’s time to ponerlos las pilas as adults, and parents. It’s the time of the year when most our kids are sitting at home saying things like I’m hungry! I’m bored. Can we go somewhere? And to which we can only reply nicely so many times. So rather than pulling out our hair this summer – as it is, mine is already turning gray – why not keep the kiddos busy with little summer projects like this one. After all, there really isn’t anything else quite like sharing a refresco and an elote with your loved ones. In this post we’ll be showing you How To make Mexican corn. You’ll of course need corn and a little bit of water to get started. Go ahead and remove the corn husk ends from all of your elotes – the hard part at the end – and remove the outer most husk leaves from your corn, exposing the softer inner leaves. Pour the water into your container or pot (that’s what I’m calling it), then add your whole corns into the pot, with their remaining husks. Once you’re done, cover it up and let the pot steam (15 minutes on high heat). 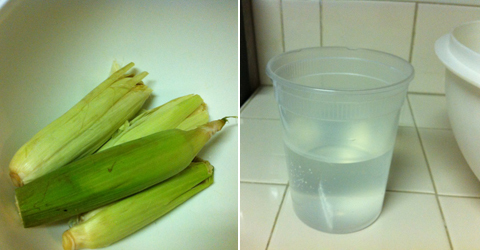 You’ll want to be careful not to submerge the corn in water. 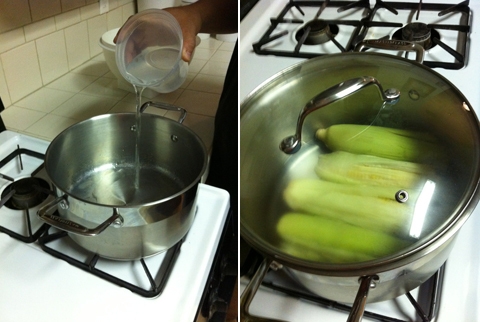 The idea is to put only enough water in the pot to allow the corn to soften and steam. 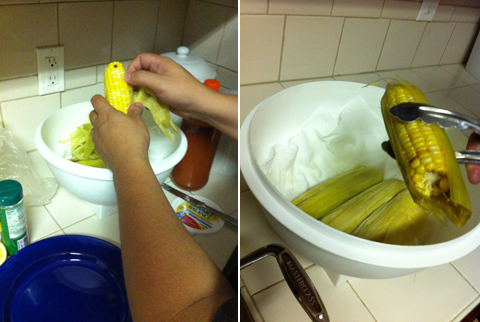 Wait 10 minutes to let the elotes cool before you remove the remaining corn husks from all of them. You’ll want to make certain they are completely clean of all corn husks by this point. These ingredients are pretty standard fixings for Mexican corn on the cob, but feel free to be as creative as you want to be. 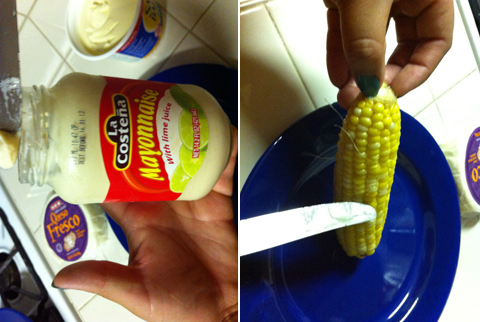 I added butter to my elote, then mayonnaise, lemon, Parmesan cheese and Valentina sauce. Anjelica – those are her painted nails not mine, just FYI 🙂 – on the other hand, opted for chili powder and queso fresco. 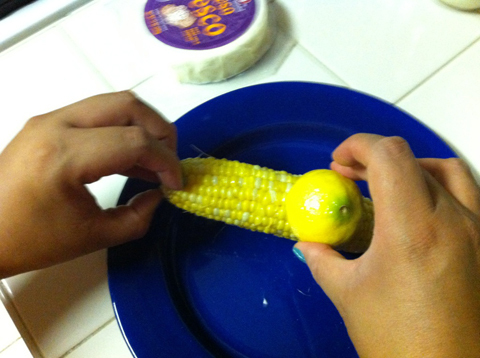 Remember you can add as much of the fixings, like lemon, as you want. 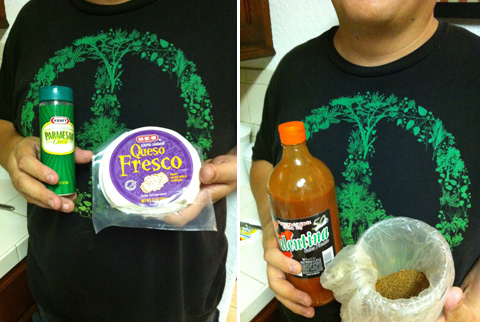 Cheese and chili are the biggest variables when making your own Mexican corn. There are so many varieties to choose from that sometimes you just have to go with what you know. 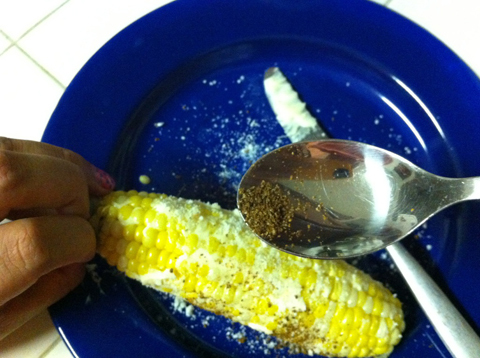 This one is Anjelica’s elote with the powdered chili. Mine, with the Valentina, is much better! 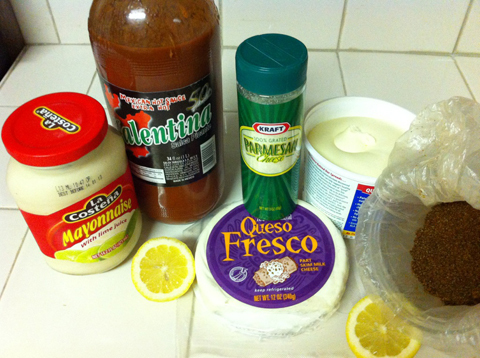 I like mine charred on the grill too… bien quemaditos, but this one is a little easier to make. Still tastes pretty good! You realize you’re going to have to make some for me now, right?